The Workforce Human Capital Management challenges facing todays clients are dynamic, decentralized & unlike challenges faced in the past. Highly complex regulated compliance requirements, multi-generational workforce, labor negotiations, engagement, knowledge loss, leadership & learning just to name a few. 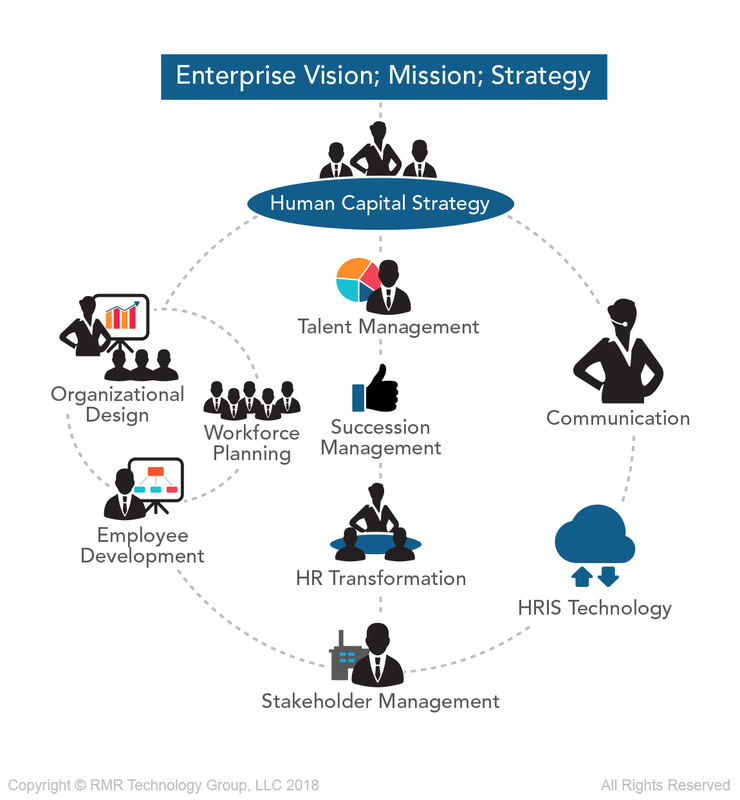 RMR’s Workforce Transformation, Human Capital, HR Operating Model, Human Factors User Experience, Learning Design & Development consulting services are delivered using our Human Capital Optimization EcoSystem (HCOE©). We assess, design & implement solutions that ensure compliance by enabling innovative best practices.